Cooking for yourself can be a chore, but when you are elderly or disabled living on your own, it be can even more difficult to maintain a healthy diet, which can lead to serious health problems. Hartford HealthCare Independence at Home offers a number of nutritious freezer meal recipes that are the perfect solution for those who are not able to visit their elderly or disabled loved ones on a frequent or regular basis. These meals save time and ensure that your loved one always has something to eat that is delicious and easy to prepare. Spray 200 pan with nonstick spray. Spoon ½ cup of tomato sauce to cover bottom of pan and spread evenly. Add layer of pasta sheets. Add ½ cup of Ricotta cheese and spread evenly. Add 1/4 cup of Tomato sauce and spread evenly. Add 1/4 cup of Ricotta filling and spread evenly. Add 1/4 cups of Ricotta filling and spread evenly. Finnish with 1 cups of shredded Mozzarella. Bake in the oven for 45 minutes approximately 1 hour or until lasagna bubbles and internal temperature reaches 165F. Remove from heat uncover and let rest to allow noodles and cheese to set. Wrap individually pieces in plastic wrap, label and freeze. Reheat lasagna from frozen in microwave oven. (Time depends on power of microwave oven). 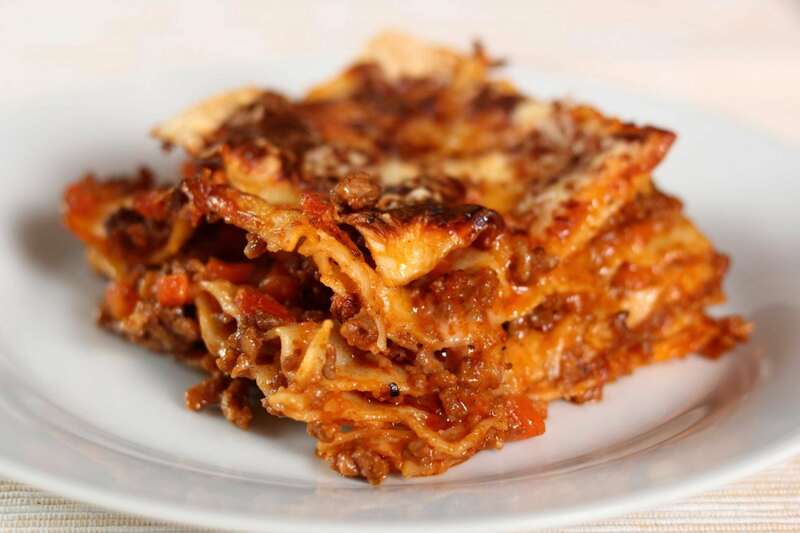 Reheat the frozen lasagna within three months. Microwave on high power for 10 minutes. Continue cooking at 50 % reduced power for additional 5 minutes. Rotate half way through cooking. For more information about Hartford HealthCare Independence at Home, please call 1.800.HOMECARE (1.800.466.3227) or click here.